SPUN is 3D Printed TPU (thermoplastic polyurethane) extruded into wire and folded upon itself like ramen noodles. 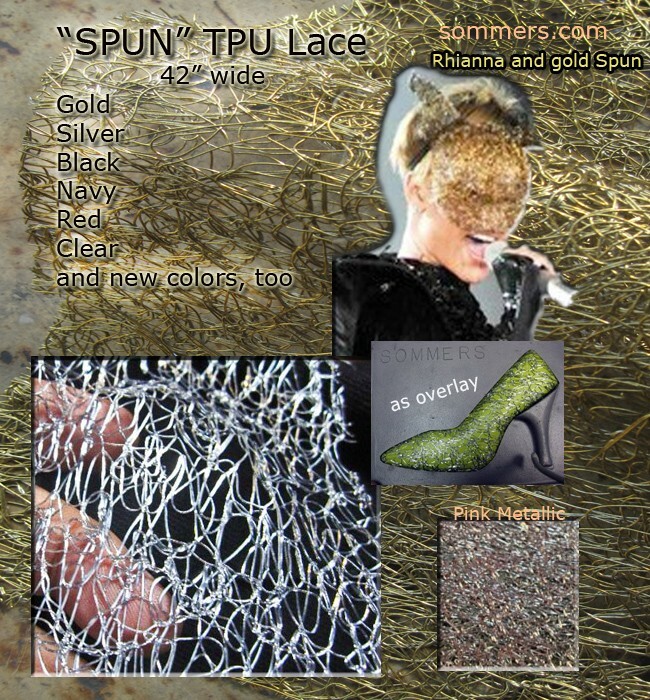 This unique lace can then be vacuum metalized to create a chrome silver or gold finish. Width 42". Clear and colors available custom only-not in stock.